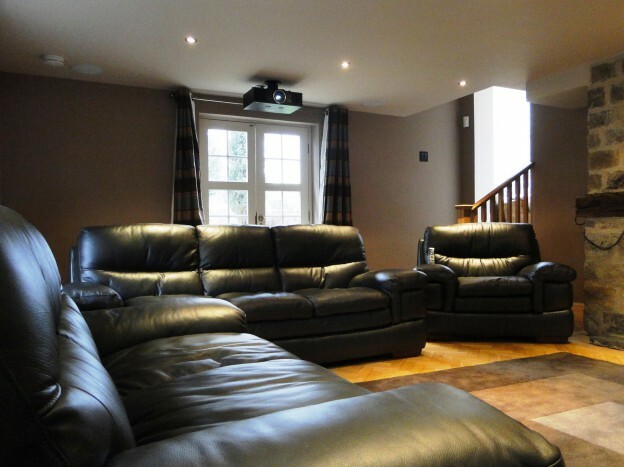 See-AV were recommended by one of our existing and very satisfied clients to transform a large ground floor snug in this superbly appointed country residence near Linton Wetherby, we worked with the client and their architect to ensure that this family High Definition Cinema Room was both tasteful and discreet. 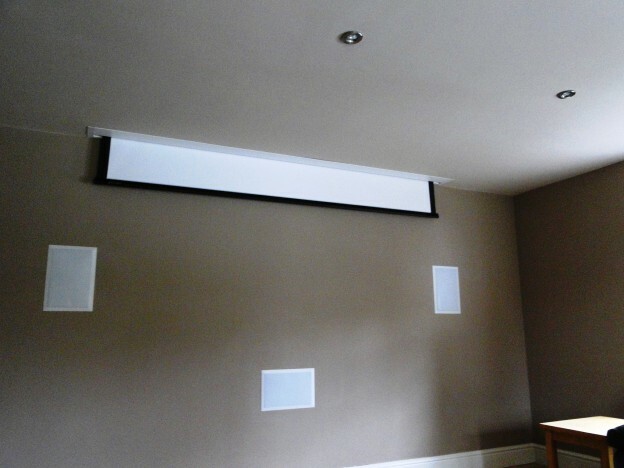 Both the screen and in wall loudspeakers where going to be installed into a solid wall, See-AV designed with the builder a new ceiling (with the joists going in the right direction) and false wall to allow an Othello line recessed electric projection screen to be flush mounted in the new ceiling and the in wall loudspeakers to be flush mounted too. 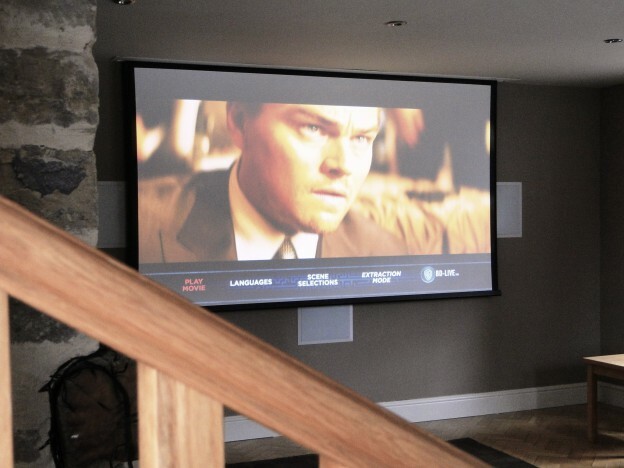 We chose the Panasonic PT AE4000 1080P High Definition LCD Projector. 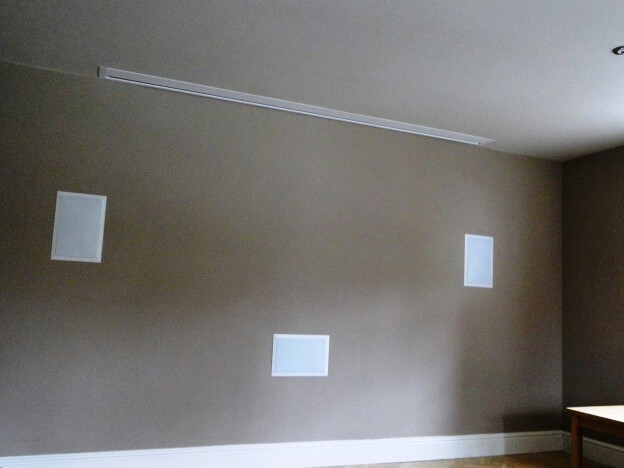 Using the highly acclaimed Speakercraft AIM range of in wall and in ceiling loudspeakers, the uniquely designed Anthony Gallo MPS150 Subwoofer, Onkyo TX NR-708 THX certified AV Receiver and the award winning Onkyo BD-SP308 Blu-ray DVD Player brought this impressive 5.1 Home Theatre to life. 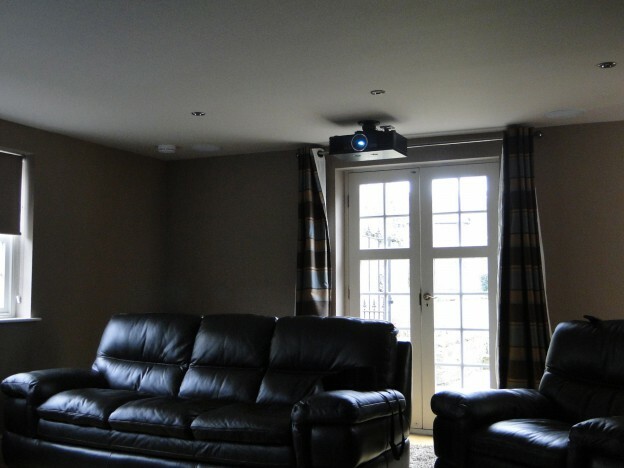 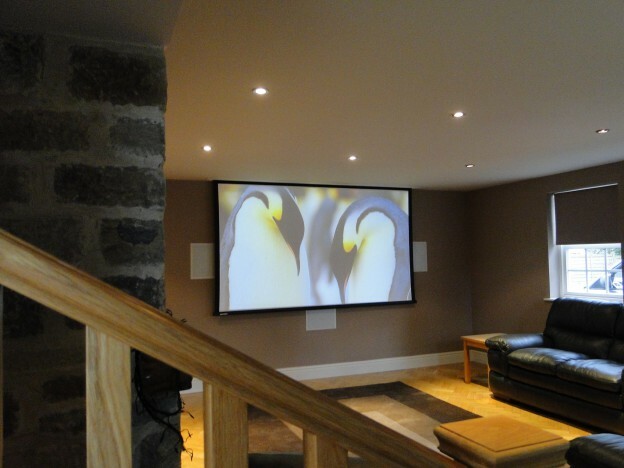 To automate our clients dedicated Cinema Room we used a Rako Wireless lighting system operated by in wall and remote dimmers and integrated with a Control4 HC200 Home Theatre Controller.